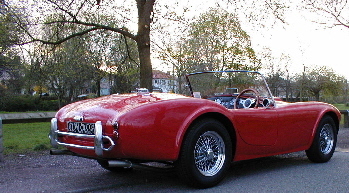 The BRA 289 was the first replica 289 to be produced in the UK. 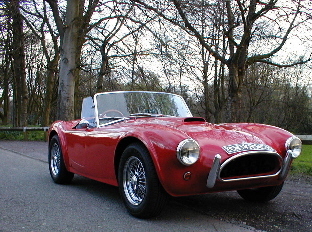 Moulded from an original Cobra 289 the car was designed by John Berry and Peter Ibbotson in Doncaster, over 260 were produced between 1981 and 1998 when production ceased. During the later days of production the car was known as the Tyler 289, the project having been purchased by Tyler Mouldings in 1996. When Tyler Mouldings ceased trading in 1999 the project was purchased by a company in the North of England and sadly the car has not been produced since. It is rumoured that the jigs and moulds have fallen into a state of disrepair and are no longer useable. However, a duplicate set of jigs, tools and moulds for the BRA 289 were produced in 1996 and these have now been altered to suite the requirements of the SVA (Single Vehicle Approval) regulations. One car has been manufactured, has passed the SVA test and has been successfully registered. We have recently purchased this project, along with the first car, but have no immediate plans for production. Many BRA 289's have found there way to other countries including USA, Canada, Belgium & Italy. The car has a particularly healthy following in Germany where many examples are owned. 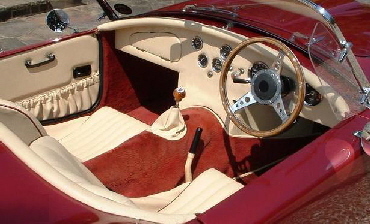 The car pictured here is an early BRA 289. Having suffered at the hands of 'too many' owner/builders and being built and finished to a poor standard, the car was, for reasons of safety, deemed unsuitable use on the public highway. The car was purchased by David Wiles in 2001 and, following substantial rebuilding, was finally "taken out" in 2005. The car is currently in dry storage. BRA also manufactured the BRA 427 from 1984 to 1986. The car was designed by Gerry Hawkridge(of Hawk Cars fame), but only 38 were sold before the project was sold to a company in Spain following rumours of pressure by Ford/AC to cease production. (Feature - KitCars International Magazine. February 1997).